Imagine walking through a city assembly of steel, concrete and glass, only to find a tower made of wood and plants. It would seem like a ray of hope in this thick concrete jungle. 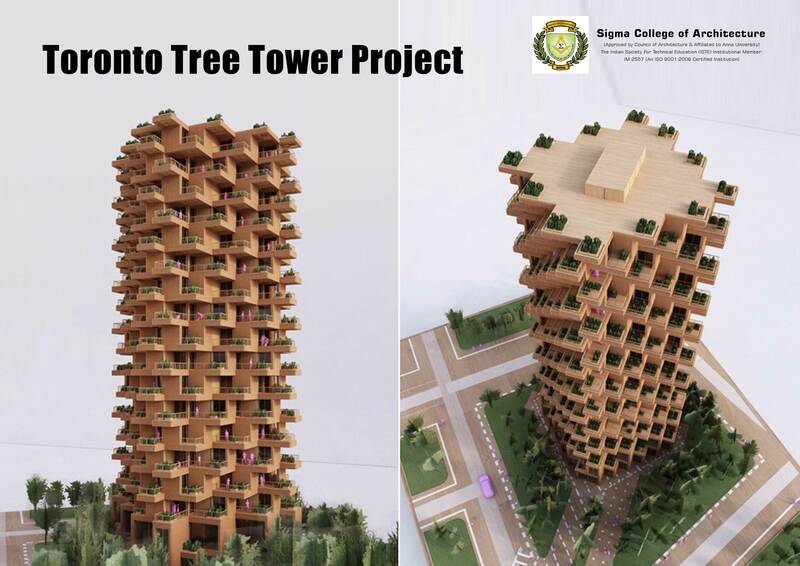 This is exactly what architecture firm Penda and Canadian company Timber have collaborated to do for a tower at Toronto that they have termed as the ‘Toronto Tree Tower Project’. The Toronto tower would include 4,500 square meters of residential area, along with 550 square meters of public space including a cafe, a children's daycare center, and community workshops. “The warm, natural appearance of wood and the plants growing on its facade bring the building to life and that could be a model for environmental friendly developments and sustainable extensions of our urban landscape” said Penda partner Chris Precht. Penda is renowned for incorporating plants into its Architecture.